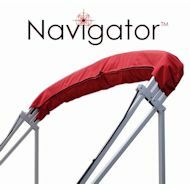 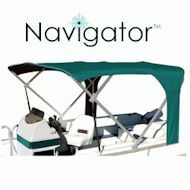 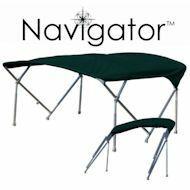 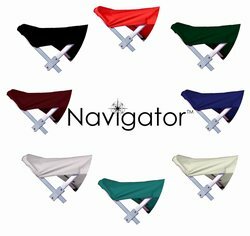 Our Navigator Pontoon Boat Bimini Tops are made with 100% Solution Dyed Navigator TM Polyester Fabric. 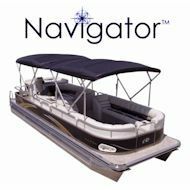 All of these pontoon tops are UV and mildew resistant and have special anti-fungal and anti-bacterial inhibitors. 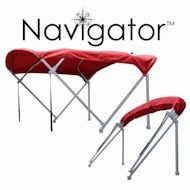 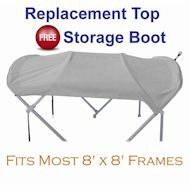 Not only are these pontoon bimini tops very durable they are also flame retardant.